2016 FORD FUSION Printer Friendly Flyer. 2016 FORD FUSION with a powerful V4, 1.5L engine and driven only 15912 miles! 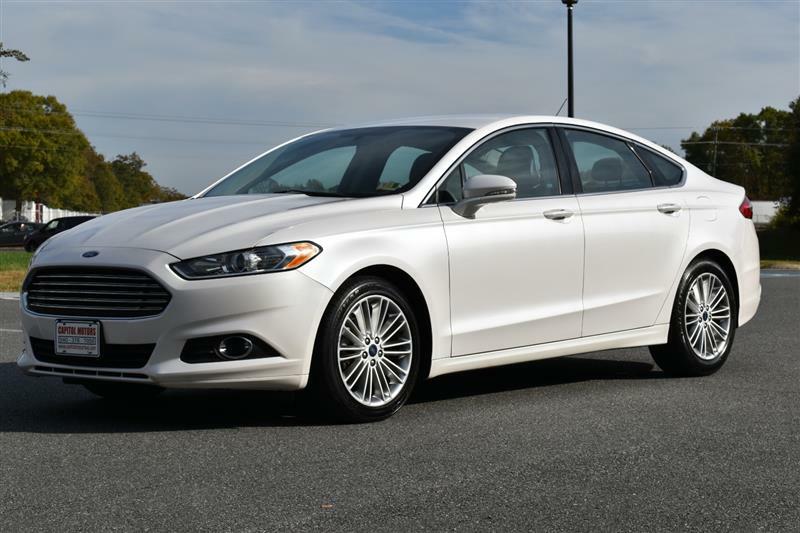 This gorgeous Ford Fusion is not only a stunning white but also has cozy black leather seats and interior. Take advantage of the heated seats when the weather is cold or wet. Make phone calls or bring your favorite music on the go with Bluetooth connection! Never worry about backing into anything with the built-in backup camera and sensors. Always be able to see in bad weather with the bright and shiny fog lights! Don't forget that this vehicle is CARFAX CERTIFIED with only one previous owner, no accidents reported, no damage reported, and regular oil changes! FINANCING is AVAILABLE! Extended warranties are available! Discounts are available for military personnel and first responders! Contact our Sales Team at 540-376-7056! They would love to talk to you!